A barfi is nothing, but dense milk based sweet confectionery from India, a type of sweet. 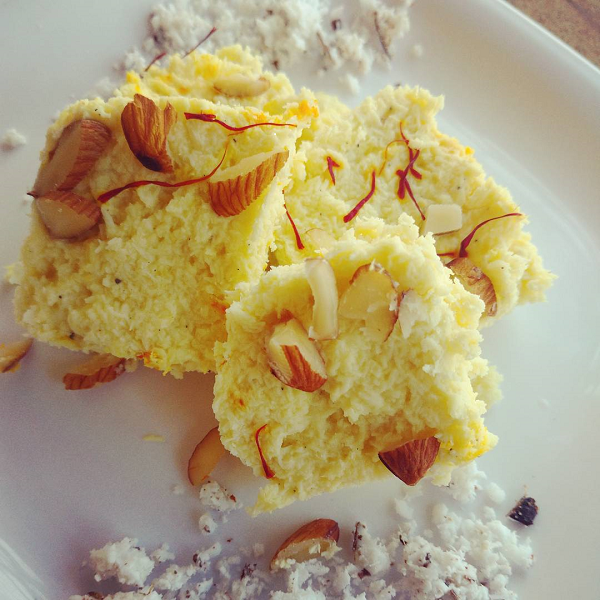 Coconut barfi is a traditional Indian sweet made in almost all parts of India. It is very easy to make, and just needs few ingredients. 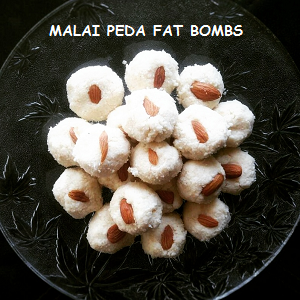 And these are high in fats and low in carbs, thus called as coconut barfi fat bombs. Being born an Indian, I have always enjoyed and relished our rich dishes full of flavour and taste. When I started Ketogenic diet, one thing I knew was to never compromise the taste with this diet. I made sure that my food is not boring. I make many Indian versions of Ketogenic dishes, and here to present you a very famous sweet of India – Coconut Barfi/ Coconut bar. It is high in fat and low in carbs, and are ideal as fat bombs . Do you want to check other fat bombs I made ? You will absolutely love these coconut barfi fat bombs, although, trying these ones below will sure make you drool. Let me know if they were good in the comments below. Which form of coconut to use ? Dessicated coconut flakes – This one was low in carbs, unsweetened and also were fresh. Did not have that overhwhelming flavour. MYSTIQUE HILLS – ORGANIC DESICCATED COCONUT FLAKES (1 KG) PREMIUM QUALITY – This one does not have nutrition information written but is cheaper than other brands and is unsweetened. So, safe to use it. Try these coconut barfi fat bombs, high in fats and low in carbs to increase your fats. These are Indian in origin and full of flavour to try something fun. Take a bowl and mix the shredded coconut with 300 ml (1 ¼ cup/ 10.1 fl oz) of coconut milk. Keep this mixture aside for 30 minutes. 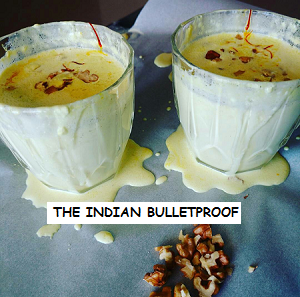 Add remaining 20 ml (0.7 fl oz) coconut milk; add the saffron threads and the erythritol. Mix it properly for the sugar to dissolve. After 30 minutes, heat a wok and melt the ghee in it. Add the coconut mixture, and keep mixing ensuring the flame is at low and the mixture does not stick to the surface. Keep mixing for 5-7 minutes. Add the Elaichi / cardamom powder and cook the mixture for another 5 minutes. Take a baking tray/ barfi tray (I used a 16 cm/ 6.3 inch square baking tray), butter it and spread the mixture evenly, up to 1 cm thick. Freeze it for 2 to 2 ½ hours. Cut small squares according to your own liking and the barfi is ready. Refrigerate for up to 5 days or if too soft, freeze for up to 3 months. This looks amazing. I’m going to try it today. Can u use butter or coconut oil instead of ghee? This sounds amazing and I have all the ingredients! I just need some time (uninterrupted) to make these now. Pinning this for later. Great ! Let me know how were they ! Your answer shows real intiellgence. I’m making these today ?? I made these last night and wow they are just perfect!!! I used xylitol as that’s what i have and possibly a bit too much stevia …. they are super sweet ? Hey glad you liked them Maya. Thank you for the kind words.